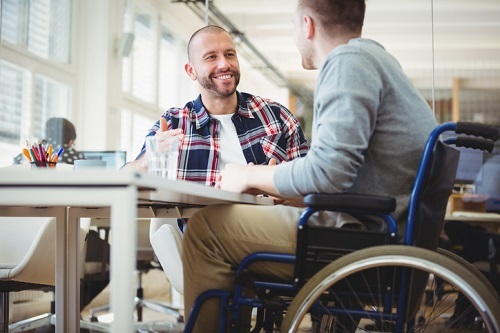 RBC Insurance has predicted that long-term disability (LTD) cases will fall by 3.6% this year from 2018 because of the slowdown in the Canadian economy. Using a proprietary algorithm, The RBC Insurance Group Long Term Disability Forecast, it discovered that new LTD claims are linked to Gross Domestic Product (GDP) growth rates and believes this information can help businesses prepare for future claims costs, ensure adequate staffing during critical seasons and ensure employees get the help they need. The hypothesis suggests that during challenging or uncertain times, workers can become concerned about job security and performance, creating significant mental and/or physiological stress. As the economic outlook brightens and GDP growth accelerates, workers may feel more secure but, counter-intuitively, that pent up anxiety can take its toll and makes them more likely to succumb to illness and take a leave from work. John Carinci, vice president, Operations and Client Experience, RBC Insurance, told LHP that the company has been trying to identify the relationship between LTD and other macro-economic indicators for six years. Initially, itg was though to be random but now, after examining more than 300,000 data points and clients, it has uncovered a link with GDP growth. He said: “When times are good, you aren’t necessarily going to know – the average Canadian, for example, won’t know what the GDP numbers are at any given point in time but they will know the health of the company they work at. The flipside, he said, is that when work becomes more comfortable, the body and mind relaxes and all that pent up stress comes to the surface. Carinci added: “It’s like a prolonged adrenaline rush and during that time, what may have begun as a case of depression or anxiety becomes more complicated and/or severe. It’s the same with that bad back, which now becomes untenable. Carinci said the findings are not related to the sale of any product but that RBC Insurance is more concerned about getting the information to business owners, so they can better predict when bigger claims costs may occur. It also helps them determine when the best time is to assist employees abnd provide them with the framework they need.